GuardingKids.com: Do you have a child who is being bullied or harassed at school? Do you have a child who is being bullied or harassed at school? 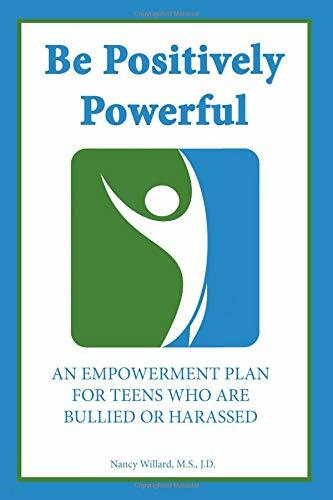 Be Positively Powerful: An Empowerment Plan for Teens Who Are Bullied or Harassed is a new book by Nancy Willard. In this book, teens can learn seven powerful, positive approaches to become empowered even in the face of being treated badly. Parents can use these approaches with younger children.